INLEAD - Job Oriented Program | 100% Campus Placements | MBA and PGDM Programs: Does Fox get the Apple in India? Will Apple make iPhones in India? That's one question in the minds of many Indians whilst Apple Inc.’s CEO - Tim Cook seems reluctant to make a commitment yet. He might be contemplating about calling off the contract with one of its largest manufacturing partners, Foxconn Technology Group; the contract was signed to look at the possibility of making the iPhone in India in the next two to three years, according to two people with knowledge on the matter. Local manufacturing would allow Apple to bring products to market quicker besides making them cheaper for Indian consumers and turning the country into an export hub, while adding that this would require creating an elaborate and complex supply chain too. On his first visit to the country in May 2016, Cook announced the setting up of an App development unit in Bengaluru and opened a development centre for Apple Maps in Hyderabad, with an investment of $25 million. Apple wants to expand its wholly owned stores in India, which Cook sees as an opportunity to win Indian customers by setting new service standards. Apple badly needs to boost sales in the world's fastest-growing smartphone market at a time US and China are slowing down. In recent years, Cook has repeatedly spoken of India being a market where Apple sees great potential. "India is fast-growing, but our base there is smaller," Cook told the Washington Post in an interview last month. One of the biggest drawbacks that has held India back is the inefficient cellular infrastructure. iPhone sales in India were up over 50% in fiscal 2016 compared to the prior year. Cook said India could be as big a market as China and would be crucial for the smartphone maker. In a market research, it was found that Apple shipped a record 2.5 million iPhones in India from October 2015 to September 2016, up by 56% in a year, according to an estimate. Foxconn Technology is expected to start the manufacturing operations in Maharashtra by 2018. In the month of August, Foxconn Technology signed a $5-billion deal with the Maharashtra government to set up manufacturing operations in the state. Maharashtra government has allotted two plots of 1,500 acres each, one in Pune and the other near Mumbai, for the company to set up its plant. The company would also be taking 1,000 engineers from India to Taiwan University for a bridge course, to enhance their skills, so India is expecting chances of growth of job opportunity too. Maharashtra government's much touted USD 5 billion MoU with the world's largest electronics contract manufacturer and iPhone maker Foxconn is yet to materialize as the Taiwanese giant has "yet to find customers" to start its production unit, a top bureaucrat said today. Chief Minister Devendra Fadnavis had announced that Foxconn will create direct employment for 50,000 people through the MoU. However, making phones locally would come with certain challenges. 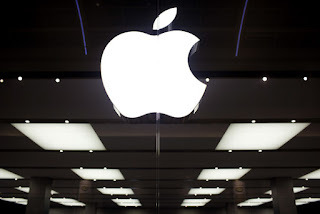 Compared with indigenous brands manufactured in India, Apple's plans would entail far higher investments, cutting edge technology required for making the high-end smartphones and a component ecosystem that is currently far more developed in China. While local brands operate at volumes running into millions, Apple would operate at multiple times that scale as it would look at catering to multiple countries from India, not just the local market. With Apple's growing popularity in India, there's speculation that it may reduce the lag between launch and sales of the iPhone7 in India, having shortened it last year for the 6s model as well. What remains to be seen is how soon will this turn into a reality!